An amazing night’s sleep in the hut on the mattresses the DOC provided us with, we woke up at the crack of dawn, a prompt 8am. A slow morning, we hit the gravel road midmorning. About two kilometers in, the track turns off into farm land. The sheep were everywhere, and the fields rolled and hobbiton opened up before us. The beautiful rolling fields full of sheep and cows has us in awe as we crossed the farmers property. For an hour and a half we walked along fence lines as cows eagerly followed us, surely expecting a hand out of grain. But to their dismay all we have them were pleas for them to not run us over. 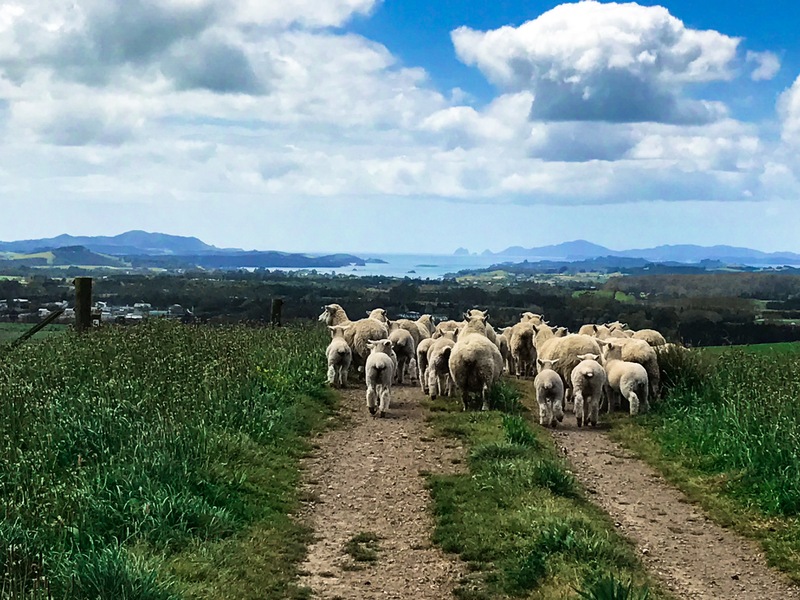 The sheep tried to stay out of our way, but down a long stretch of gravel road, they weren’t able to get out of our way and we shepherded them about a km, looking out into the bay of islands. Too early in the morning I started thinking about tasty foods that I would like to be eating, and by 11am I was already complaining to the other three that I needed a big lunch. 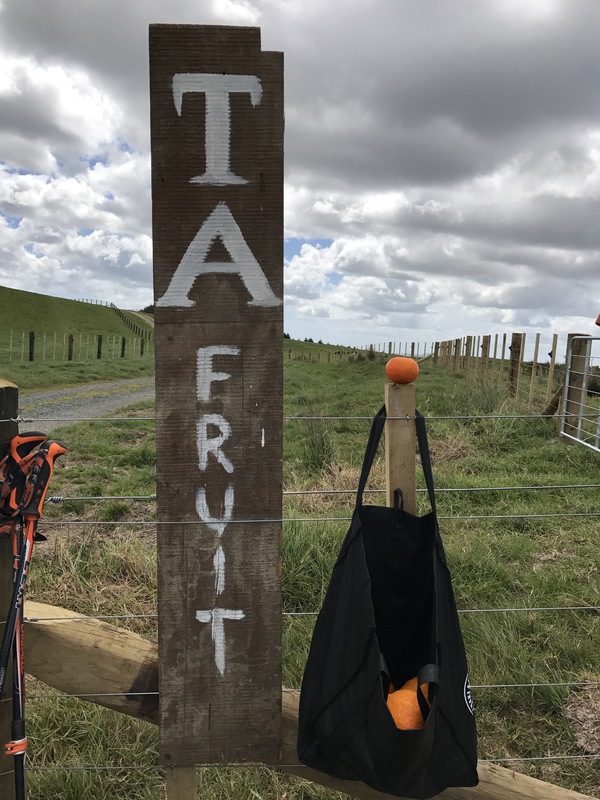 Ten minutes later we turned onto the last 14km stretch of the day and greeting us was a big sign reading TA Fruit, and hanging next to it was a big grocery store bag of fresh little oranges and grapefruits that we instantly devoured. At 1, we ate lunch. Our disgusting mix of gorp… Basically inedible. We ate the rare lollies that we had gotten from Liza, an OSM bar, and a couple more oranges we kept from the fruit bag. We cruised through our last 7km of the day. The wonderful rainbow falls greeting us on our way into Kerikeri. 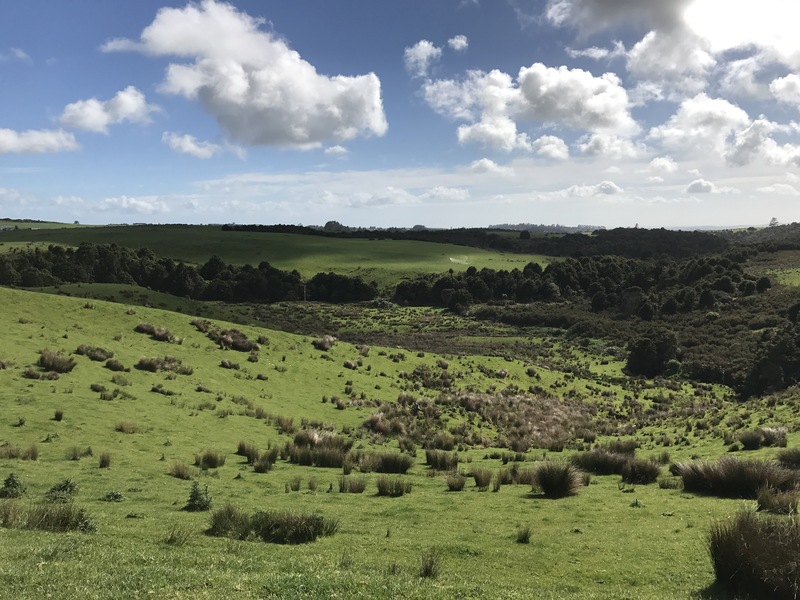 The trail took us through suburban Kerikeri and we got a peek into the houses of local Kiwis. Their properties were all exquisite and walking through the 4km of them, next to the slow flowing, gorgeous river behind their house, we decided we’d all move into them permanently as soon as we’d made it to Bluff. My new and improved ultra light pole, singular, worked excellently today and I could not have been more pleased. Pagoda Lodge proved to be a paradise of canvas tents, hot showers and access to Kerikeri. After we set up tents at the beautiful campground, we discovered that the Post Office was closed and Jasper could not pick up his bounce boxed shoes. We made up for it by stuffing our faces with Cafe Jerusalem’s Shawarma beef meals, McDonald’s, and the local grocery store’s gummies. 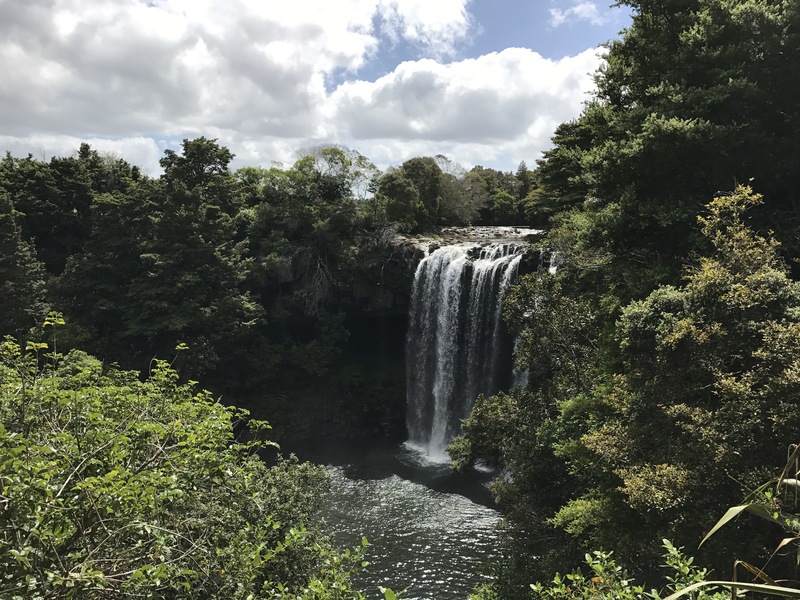 I Love reading your blog the pictures are amazing and the adventures are priceless enjoy your time can’t wait to hear all about it this spring thanks for all the posts ! That’s what Kiwis call candy/sweets. We got in some trouble for eating a couple off the shelf while we were deciding which kind we wanted to fill a bag with and buy.